Press Release: New Van Donated – We Got This! Remember I told you I had some exciting news? Well, here it is! It all started with a letter my daughter, Kari, wrote this past spring. It was a plea she sent to nearly all the automobile dealerships in the Washington, D.C. metropolitan area. Sue and I had no idea she did this. Only one company, Koons Automotive, really took any real notice. But, it didn’t matter because Koons cared… in a big way! I later learned they are huge followers of this website! By way of introduction, my name is Kari Diviney. I am a sophomore at West Virginia University and grew up in Northern Virginia. During my senior year of high school my brother, Ryan, was brutally beaten by a group of strangers. While only given 24-48 hours to live, he made it and with the help and love of my family has been fighting to survive ever since. 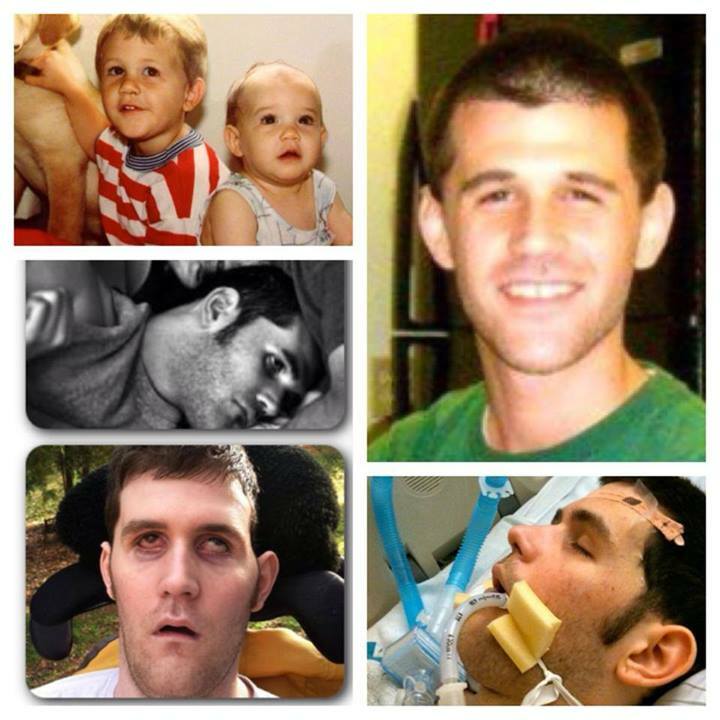 Ryan sustained severe brain trauma in the attack and is still in a minimally conscious stage. My dad, Ken, quit his job and takes care of him in the basement of our Ashburn home round the clock. If you want to read up on my brother, my dad maintains a blog dedicated to his care at www.ryansrally.org. 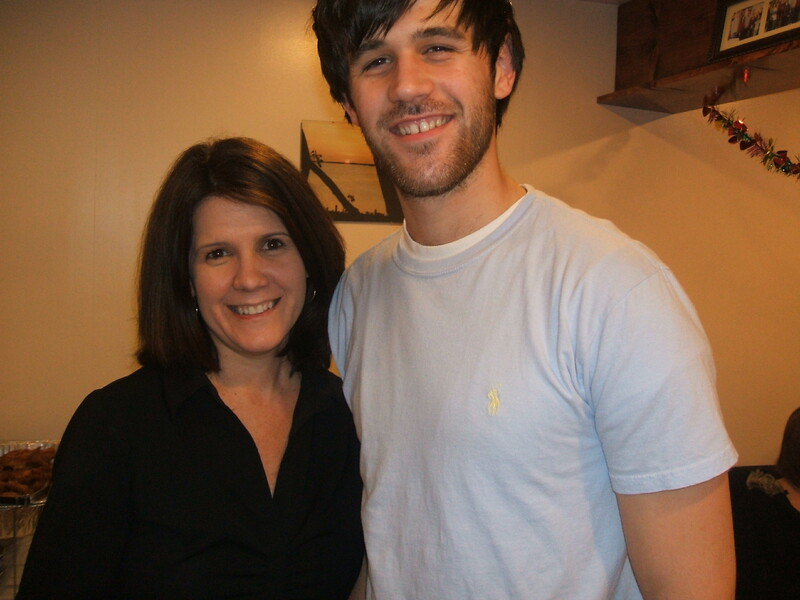 My mom, Sue, works long hours at her job to provide Ryan with the best of care, keep our home, and put me through college. I have never seen the level of devotion by a family as I do with my parents. My brother was attacked in November of 2009 and he has never spent a single moment without either my mom or dad by his side. My parents take turns sleeping by his side every night and my dad literally spends hours each day working Ryan out to keep his body functioning while his brain is healing. 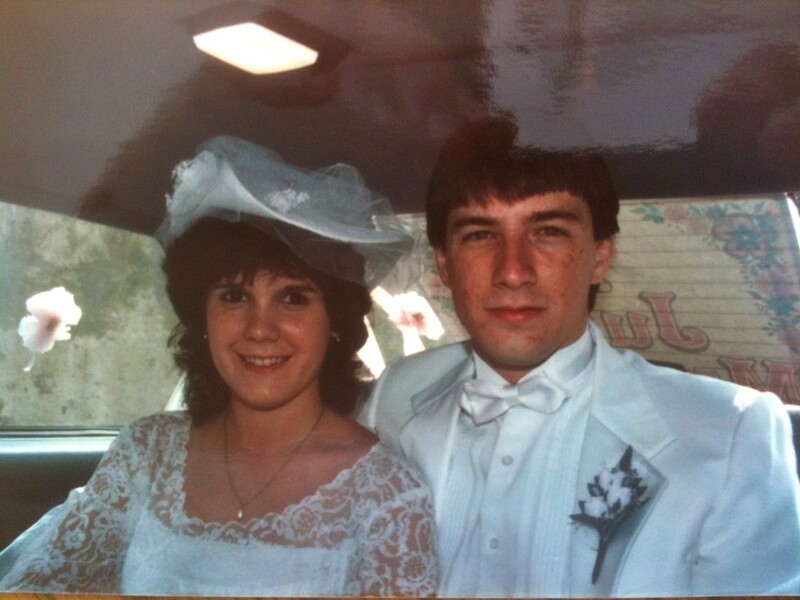 I have the most amazing parents ever. That brings me to why I am writing. My parents desperately want to be able to take my brother out of the house. For the past two+ years my brother only gets out via ambulance for doctor or emergency room visits. My parents want to be able to take him to a park or to a ballgame, but they can’t. We don’t have a safe vehicle with a wheelchair lift to transport him. I say “safe” for a reason. A dear, dear family in Morgantown gave us a van to use. However, the van is a 1980’s model and we have to use a hammer to make the lift work. My parents have only tried to use the van once, and Ryan’s head basically touches the ceiling of the van, and it took my dad 15 minutes to get the lift to work with the hammer. The van also sounds like it is going to breakdown. It is too great of a risk to my brother to use the van. Unfortunately, my parents don’t have the money to buy a new one. They need to put all the money that my mom earns and any donations we’ve received towards Ryan’s medical bills and medicine. While I know my mom and dad would never ask for a vehicle, and I admit it is equally difficult for me to ask. But I feel I must try for my brother. I know he would do it for me. My brother is my world. He is the best big brother a little sister could ever ask for. He is a great role model. In Ryan’s first year in college he was on the President’s list with a 4.0, followed by the dean’s list. He has never been in a fight in his life and did everything he could to help out others. He was an athlete in high school, loves sports and dogs, and could always brighten a room with his funny stories and smile. During his first year of college (before his brutal attack in his sophomore year) he volunteered at the Ronald McDonald House, the Boys and Girls Club, and spent time at a donation center. Ryan’s dream was to make the world a better place to live. He also looked out for me and would push me to do better. “Study Kari,” he would say. “Your grades are important.” When I was getting ready to submit applications for college, he told me I could only apply to WVU, so that we could be together. This never happened. I found out I was accepted to WVU in the ICU, my brother on life support at the time. I still went. I am here for Ryan. I also believe one day he will emerge and join me. But it hurts so badly, I can’t even begin to explain the pain. I could also go on and on about my brother. I just want you to understand a little bit about Ryan and my family and why I would be reaching out. To that end, and with deep humility, I am asking, would you be willing to donate an adapted van for transportation of my brother? ASHBURN, Va., Dec. 11, 2012 – Giving back has always been a focus for Jim Koons Automotive Companies, one of the largest automotive dealer groups in the U.S. The company’s latest endeavor involves donating a brand new mobility van to the Diviney family of Ashburn, Va., through their organization, Ryansrally.org. 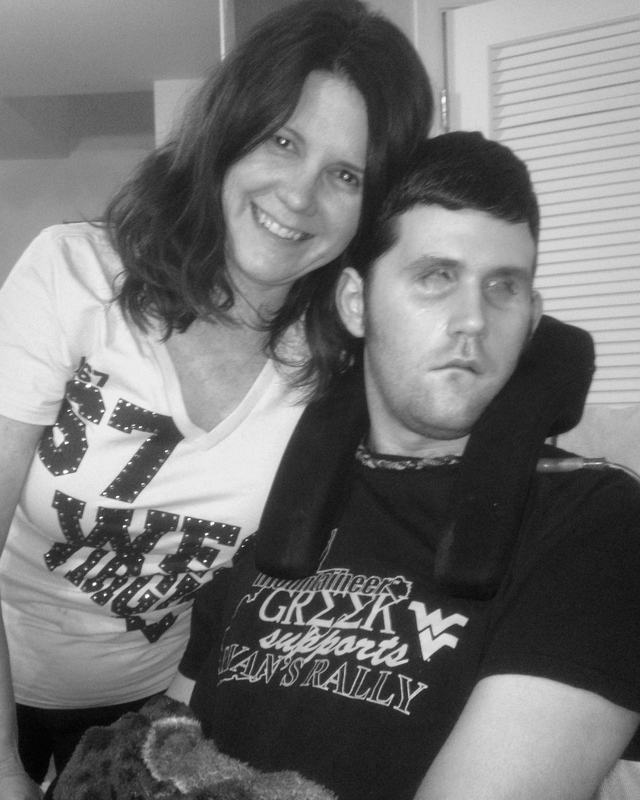 Ryan Diviney was brutally beaten while attending West Virginia University in 2009, and currently remains in a vegetative state at his home in Ashburn, Va. Ken Diviney serves as Ryan’s primary caregiver after stepping away from his career to take care of his son full-time. “We can’t thank the Koons organization enough for this vehicle donation. They are truly a family with compassion, and this is extended to, and reflected in, their business culture. They care about the well-being of the community, and this is a wonderful example of that. It means so much to us in providing for our son. The Koons organization is the example of how businesses unselfishly give back to the community,” said Ken Diviney, Ryan’s father. On December 17th at noon, the Toyota Sienna mobility vehicle will be personally delivered to Ryan Diviney and his family by members of the Koons family and Koons employees. The van will be equipped with a wheelchair ramp to enable Ryan to be transported outside his home – which currently isn’t possible for the family. “Unkown to us, our daughter, Kari, reached out to nearly every automotive dealer in the area asking for one to take notice. Only one – Koons – responded,” said Diviney. “The story of the Diviney family is a touching and heartwarming example of how families come together during times of great difficulty,” said Krystal Koons, spokesperson for Jim Koons Automotive Companies. “When we learned they needed a vehicle, we knew it was a perfect fit for a partnership given the fact it is such a worthwhile cause,” said Koons. “I cannot stress enough what an inspiration this family is, and should be, to families across our community. Given the extreme circumstances in which the Diviney family has found themselves, it is truly heartwarming to see the level of love and devotion this family has displayed for Ryan,” said Koons. No need to worry about the beloved “chick magnet”. It is being returned to the Morgantown family who donated it to us. The wonderful news is, it will be put right back into service for another family in need! I love that van. And the world begins to open up for Ryan…more healing on the way with new experiences! how wonderful!!! So excited for you and Ryan! Amazing!!! I could barely read this through the tears of joy for Ryan!! Thank God for Koons Automotive and the spirit of giving! What a wonderful Christmas for you all!! Can’t wait to see pictures of your new Van!!!!! Love the Diviney’s!!!! Christmas Spirit!! Thanks, Koons Tysons Toyota. Thank you Koons – what a wonderful gift for the Diviney’s. This brought tears to my eyes today. I am so happy for you. Wow, what a great gift for your family. Awesome company to make such a live changing contribution to Ryan. Kudos to Kari for writing such a beautiful letter. Restores my faith in humanity. Wow!!! What an amazing generous Gift from the Koons family!!! It brought happy tears. May God continue to Bless Koons family, Ryan, Ken, Sue, Kari~ Merry Christmas!!! Please share today’s post with your friends. I want everyone to know what the Koons family did! I can’t wait to hear all about the wonderful memories you will make in your new ride! WOOOOOO HOOOOOOOO!!!!!!!!! How very Exciting!!!!! Yea Koons for opening their hearts, and providing this van for our Stud muffin, now he has a REAL chick magnet!!! That’s amazing! Can’t wait to see Ryan’s first outing in the new van! WOOHOO for all of you! Best story ever! Merry Christmas indeed! Kari’s letter was beautiful. WOW. That is so utterly amazing! Very teary reading this – what a great pick me up for today and such great help for Ryan! WOW. What an amazing, wonderful gift! Very happy for the Diviney family! WOW! Tears won’t stop this time! I’ve always like Koons! Bought my first vehicle from them and will purchase my next vehicle from them. What a wonderful gift!! God provides!! Many thanks to Koon’s for showing what it means to be a company that cares about the community. And ongoing prayers for all the Diviney family. SHSP!! I just scrolled down to the next message in my news feed, and wanted to share as it was so appropriate. It was a Bible verse: “If you see some brother or sister in need and have the means to do something about it but turn a cold shoulder and do nothing, what happens to God’s love? It disappears. And you made it disappear. – 1 John 3:17 ” Thank you, Koons, for showing the love of God when you saw a brother in need and you had the means to do something about it. Long live the Chick Magnet! Terrific letter by Kari and fantastic generosity on the part of Koons. That’s quite a Christmas miracle! Wow, what a beautiful letter from Kari. 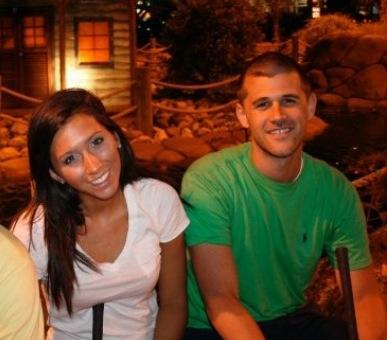 Shis is an amazing sister to Ryan. Ken and Sue you have done an wonderful job raising your children. They are so kind and thoughtful and their love for each other shines bright. What a special gift to receive during Christmas. We cannot wait to hear the adventures you guys will be able to take. God Bless you guys during this Christmas Season and know we are still here and praying for Ryan and the entire family. As soon as I finish crying I will write more….Kari’s letter is unbelievably well written — and Koons is — where I need to buy our next car. More later. The Lord is with us. Fantastic news! Kari, you are amazing !!! So mature and beautiful ! Amazing! Every time I see Krystal Koons on the Baltimore TV commercials now I will think of the donation. I plan to tell everyone I know and share this on facebook. Thank You Koons family. Kari, Ryan would be so proud! You are such a great sister. What a great Christmas present to the family. Hope you are able to get our and enjoy some Christmas outdoor light displays as a family. really great thing you did, guys. I am so happy to hear this!!! *Snoopy Dance* So, happy to hear this… y’all really do deserve this. Kari (in ASL) I *kiss-fist* you! — means that I am crazy about you! You ROCK, girlfriend. Koons Family: Thanks all you do for Ryan and his cool family. Wonderful news! Koons Automotive is a very geneorous and class organization and we are grateful to them. This is great news. Love you all.